Anchoring Type Specialized Fastener Based Fasting for RCC Slaps, pulling Foundation for Ground Mount Structure. These are basically customized designs which are made in accordance with the client’s need and hence, they can be designed for any one of the three roof types: RCC rooftops, ground mount or carports. The RCC slab anchoring solutions for these structures are self-threading screws with fastened chemicals and pulling foundation for ground mount structure. The panel arrangement can either be portrait or landscape. The tilt of the panel is kept around 5-15 degrees. The installation of superstructures is easy and, the system life is more than 20 years. 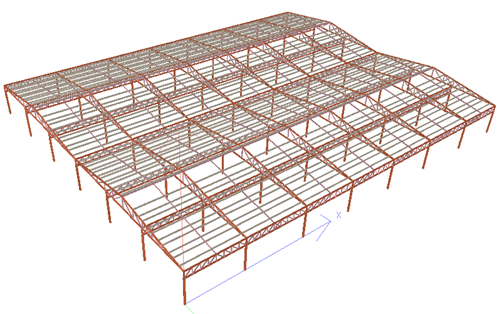 Superstructures have a wide range of commercial applications. Aluminum is used for the middle and end clamps.